By now, Bradley’s long and winding journey to a full-time music career is part of his legend. A 2012 documentary, Charles Bradley: Soul of America, chronicles how he grew up in a broken home, suffered through bouts of homeless, and wandered across the country as he worked odd jobs and a sideline as a James Brown impersonator, before Daptone Records signed him in the early 2000s. The Brooklyn, NY label is a post-millennial home for the kind of deep, bluesy funk and soul that once flourished in the 1960s and early 1970s, and for venerating older performers like Sharon Jones, the fantastic voice behind indie hits like “100 Days, 100 Nights” and “Ain’t No Chimneys in the Projects.” The film shows Jones taking Bradley on tour in the buildup to his No Time for Dreaming bow. Part of the joy in seeing Bradley’s rise in the music industry is not only watching him find his place in the ongoing “retro soul” revival – a trend that peaked with Amy Winehouse’s Back to Black, which she recorded with members of the Daptone crew – but also celebrating the triumph of a man who toiled as an unknown for decades, only to finally and deservedly emerge as a star in his 60s. On the surface, it seems unlikely that Bradley would find an audience in Europe before the States. After all, Soul of America ends with Bradley dazzling a packed house in January 2011 as he celebrates the release of No Time for Dreaming at Southpaw, a Brooklyn nightclub. The album drew laudatory praise from music journalists, and landed on countless top ten lists. When he appeared at summer music festivals such as Outside Lands in San Francisco, he often wore jumpsuits that displayed his thick, barreled chest, and proved as riveting live in person as he is in a recording studio. “You can buy the album. But when I do it live, I come out of my shell,” he says exultingly. Forgotten amidst the well-deserved acclaim was that No Time for Dreaming was not only the culmination of an unsettled and frequently impoverished life, but it also was the reward for nearly ten years spent on the Daptone roster. Daptone may be renowned for throwback soul albums like Sharon Jones & the Dap-Kings’ Naturally, but it’s also part of a network of small independent labels that thrive on 7-inch vinyl singles aimed at collectors and soul enthusiasts around the world. Beginning in 2002 with “Take It As It Come,” a jumpin’ popcorn number made with the Sugarman 3 (and later collected on Daptone 7 inch Singles Collection, Vol. 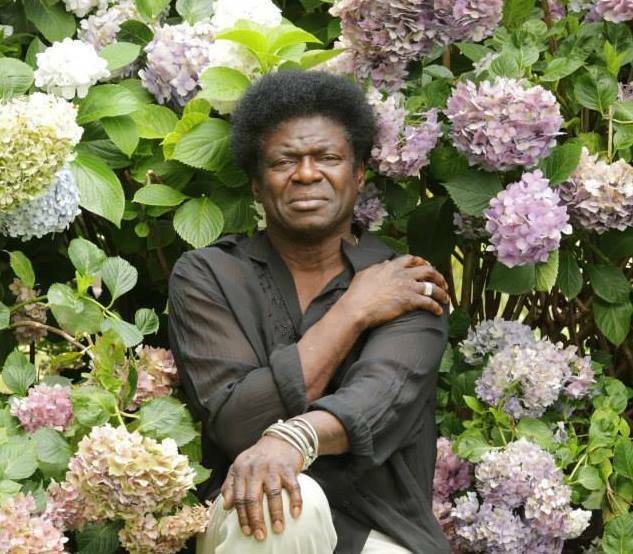 1), Bradley recorded several one-off tracks with various members of the Daptone camp. Before it became the brilliant opening number on No Time for Dreaming, “The World (Is Going Up in Flames)” appeared as a 7-inch in 2007. Those songs allowed him to find a substantial audience overseas. A more recent cover, “Changes,” also gathers its power from Bradley’s ability to interpret songs as a metaphor for his life. Originally released as a 7-inch single in 2013, this take on Black Sabbath’s tearful number about band member Bill Ward’s divorce is given a steady drum pulse by the Menahan Street Band’s drummer Homer Steinweiss, and a horn section that underlines Bradley’s sorrow. A subsequent, heartbreaking video clip makes clear that Bradley is singing about his late mother. Listeners will also note that Bradley’s material has seemed to grow less political since the fiery social laments on No Time for Dreaming, but Bradley suggests that’s unintentional. The one explicit protest anthem on “Changes” is “Change for the World.” He says that we’re living in a time of Biblical revelation, deplores racism, and preaches that we need to love one another. “I ain’t afraid to love you/I come to you with open arms,” he sings. “What you hear is what I’ve seen in my life, and what I’m seeing now. I’m watching the world. I’m a very intellectual person. I observe what’s around me, what I see, experience, and the things I have been through in life. I find a way to speak through my experience. I find a way to put it in the lyrics and give it to the world. That’s it,” he says. As with Bradley’s prior two albums, including 2013’s forceful Victim of Love, Thomas Brenneck produced Changes. He and other members of the Menahan Street Band devised melodies and arrangements, while Bradley came up with the lyrics. “Sometimes we’ll be on tour, and while we have mic check, the guys may play something, like an instrumental,” he says. Bradley notes how he’ll riff out lyrics spontaneously when he’s inspired by the right piece of music, whether it’s in band rehearsal, or when Brenneck plays bare-bones tracks from an archive of musical sounds. “Tom will call me and say, ‘I’ve got some music that I’d like you to listen to. Can you put some lyrics to it?’ If I like the music, the lyrics will come to me natural. Like all of his releases, Changes is both raw and refined, teetering between the unfettered emotion of Bradley’s performance and the tight, metronome-like arrangements of Brenneck and the Menahem Street Band. His voice is cathartic as he underlines every human craves love and understanding, no matter what our social conditioning and biases may be. At his best – and much of Changes certainly falls into that category – he taps into an element that lies within all of us.